The UK paid search market is expected to grow by 14% and reach a value of £4.19bn by the end of 2012, up from £3.68bn in 2011. The figure, published today in our UK Paid Search Agencies Buyer’s Guide, includes media spend and money spent on agency services and consultancy. Despite challenging economic conditions, the growth in the amount of money being spent on paid search reflects the fact that it remains an effective and measurable channel for generating a positive return on investment. The flexible nature of paid search, whether in terms of spend, campaign duration and timing, or user targeting, also provides benefits which are not so direct in other forms of marketing. This year’s estimate for marketplace growth, which factors in the worsening economic climate, is broadly in line with published quarterly earnings reports from Google, which now break out UK revenues. These reports show that Google increased its UK revenues by 18.7% between Q1 2011 and Q2 2012, with the UK market accounting for 10.8% of its total revenue. 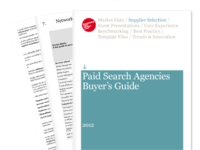 Our UK Search Engine Marketing Benchmark Report 2012, published last week in association with NetBooster, showed that companies are using agencies for a diverse range of services relating to their paid search activity. In addition to these services, the UK Search Engine Benchmark Report showed that companies are increasingly turning to agencies for services as paid search becomes more complex. Qualitative responses to our survey showed that the specialist services sought by companies included help with integrating social media into their campaigns, multilingual and multi-territory campaigns, lead nurturing, data services and landing page optimisation. This complexity is a theme covered in the buyer’s guide, which lists some of the significant changes made by Google and other search engines in their attempt to increase their offerings both to advertisers and to end users. Not surprisingly, however, the core purpose of paid search remains in driving sales and leads, with over half of company respondents to the Econsultancy / NetBooster survey stating that their primary objectives from paid search were to drive direct online sales and for lead generation. What changes have you noticed in paid search? Is more work being done in-house? Are companies relying on agencies for more specialist services? A new survey of European consumers confirms the trend for shoppers to use their smartphones to research products in-store. 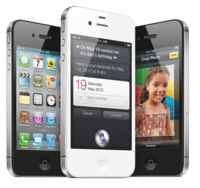 The report from Tradedoubler found that 42% of smartphone owners use their device to compare prices in-store, while 13% claim to have switched stores after finding a better offer elsewhere. Location-based offers or vouchers, however, help to secure the interest of a fifth of potential buyers. As the online industry has grown, so have the number of moving parts we have to consider. As the cogs in the machine continue to multiply, everyone has had to acquire cross functional skills to manage the different channels that come under the remit of the online marketer. Whether it be PPC, SEO, re-targeting, social, mobile, or local; the one entity in this eco-system that should have a working knowledge of all of these areas is your technology provider. Earlier this year, Encyclopaedia Britannica announced that it would discontinue producing its annual 32-volume printed edition. “By concentrating our efforts on our digital properties, we can continuously update our content and further expand the number of topics and the depth with which they are treated without the space constraints of the print set,” Encyclopaedia Britannica’s president, Jorge Cauz, explained.